The community management profession is unique. Where else can you find a job that involves talking to an attorney, an insurance agent, a banker, and customers all in the same day? We are fortunate to have access to continuing education and resources that keep our skills sharp to help shape the neighborhoods we manage. During a time when industry norms have made managers their own worst enemies, it’s the responsive and efficient processes of Aperion Management in Central Oregon that have contributed to its decade of providing top-notch service. Finding a work-life balance is important in any profession, especially community management. It’s why Aperion fosters a culture that promotes it. It’s one of the secrets to our success. Aperion was founded a decade ago as a single person operation. The management company has grown to be the first and only CAI accredited association management company in Central Oregon, with more than 25 staff members. We found that an employee-first model doesn’t need to come at the expense of growth. For example, Aperion Management hosts nearly all its client board meetings during normal business hours. The work still gets completed on time with the same accuracy as it does for clients who meet in the evenings. Operating like this means managers don’t have to sacrifice family or personal time. Board members and homeowners can be ruthless and occasionally flat out disrespectful in their dealings with us. Sometimes, we sit in board meetings that drudge on for hours despite our best efforts to implement order and efficiency. People complain about pool rules, or their noisy neighbors. Processes that are totally out of our control become our fault. Having worked in a variety of settings for different companies, I can tell you first-hand that when a company chooses to put its employees first and then train and direct its clients to follow suit, the outcome will be beneficial for both parties. It’s another secret to our success. Until we stand up for ourselves on a broader industry level and stop allowing this type of treatment to occur, we will continue to be caught in survival mode. We are only as great as our clients allow us to be. Adapting to ever-changing technology and working to keep pace with others can cause employees to burn out. And though community managers pride themselves on being resilient, the ability to be flexible comes with its own set of stressors. An article titled “The Conversation” said that, “The solution is to simplify complex, contradictory and hostile work and personal environments, rather than giving us all another job of training ourselves to be more resilient to these environments.” An effective way to practice this is to work with “like-minded” clients. Aperion has a client code of conduct written into its management contracts, which specifies the expectations the management company has of its board members and homeowners. Clients are trained on these expectations during board sessions and those who do not abide by the rules are given a few chances and if they still can’t behave, they’re let go. Employees know they will be treated with respect and that there are consequences for the client if that doesn’t happen. Board members and homeowners appreciate that their meetings are conducted with civility. If your management company doesn’t set expectations and boundaries for client behavior, now is a great time to start thinking about this model. My experience has shown me that success can mean different things to different people and looks very different depending on who you surround yourself with. Ask yourself: Do you look forward to going to work each day? Do you feel supported if you have a problem client, or does your company value the client’s management fee revenue over your self-worth? Aperion reached its 10-year milestone by establishing and following company values that support managers and clients, and we will continue to encourage these industry trends for next 10 years. Maureen Radon, CMCA, is a senior community manager at Aperion Management Group in Oregon. Are Racial Incidents Happening at Condos and HOAs more often or Just Getting More Press? Does Business Judgement Rule Apply? How Nervous Does This Readers Question Make Our HOA Experts? I landed my first job in the community management industry when at the ripe age of 19. Within two years, I was a Community Manager, leading a master plan community of over 1,500 homes with several sub associations, a corporate park, and 1,000 acres of wetland. To say there was any formal training at my first job would be a huge stretch. Education came through trial and error and luckily, a great female mentor. To be honest, I had no clue what I was doing in those early years, but I was tenacious and a problem solver, and figured it out. Unfortunately though, my story is not unique. It’s a sad reality that our industry has a low barrier of entry and not many resources within companies devoted to career or workforce development. Not that these resources don’t exist, we have simply created our own vicious cycle of under cutting on price and lacking financial leverage for talent. However, the community management industry has a unique advantage to offer women, which is the ability to craft a career that allows harmony between the home and work life. At 25 years old I unexpectantly got pregnant. I loved my work, but I was running a regional office for a large multi-state management company at this time and worked more hours than I care to admit. That had become the norm and I didn’t know any different. All through my pregnancy, I assured my leadership I would be back after my maternity leave. The birth of my daughter changed everything and after being called relentlessly, even when I was in labor with her, I knew I could not stay. It was a sad reality that my company at that time lacked the resources to handle my time off and frankly, they had no perspective how much work they placed on one individual and the inevitable failures that come with this dynamic. When I resigned my position and chose not to return it was more about the environment that I worked in than the work itself. So, I took my tenacity and resilient nature and started my own company! What I hope by sharing my story is that company owners, CEOs, COOs and Directors of Community Management companies stop wondering why you can’t find people that want to work hard, but rather take a critical look at the environment you are creating for them. I will let you in on a secret, as I have a good perspective, you must be willing to work with clients that see the value and importance of what you provide, be willing to say no and support your staff, and be willing to set a higher standard for you and your company. And lastly, stop selling night meetings as a normal, no one makes good decisions at 8pm at night! Bend Bulletin - ​Power, water and heat have been restored for the condominium community at Seventh Mountain Resort after seven trees were damaged by high winds on Wednesday. Crews worked into the night on Wednesday to restore the heat after a mature pine tree uprooted, cracking hot water pipes and gas lines, said Maureen Radon, Seventh Mountain Resort homeowners association community manager. “We were lucky that all of them missed cars, people and buildings,” Radon said. The National Weather Service issued a high wind warning from midnight to 1 p.m. Wednesday. Winds of 20 mph to 40 mph were reported, and gusts up to 60 mph occurred near Sisters and Sunriver. Damage was reported to homes in Sunriver, said Jessica Stockel, Aperion Management Group marketing consultant. Trees feel into homes, on the golf course and across West Core Road, Nestpine Drive and Bittern Lane, Stockel said. In all, five buildings at Fairway Village were damaged, two homes in Eaglewood and three structures at Quelah, she said. Finding the most effective channel to communicate with your homeowners, especially as millennials join the ranks, takes a bit of research and experimentation. That's what famed American writer Robert McCloskey once said. It's a pretty common sentiment in common-interest communities too. How many times do board members and community managers receive an email or phone call that was rooted in misunderstandings? Very often, those misunderstandings start at, well, the start. New homeowners frequently don't realize the expectations and requirements of community association living or were never shared the community's documents before they purchased. When the association sends a letter to a new homeowner asking him or her to put away a trashcan, for example, the owner gets upset because he or she didn't know there were rules on trashcans. Now, expectations are out of alignment on both sides of the conversation, and the association-homeowner relationship isn't off to the best start. Getting a community's documents in potential homebuyers' hands before they purchase and following up with welcome packets when they do buy are important first steps to communicating expectations. But the job doesn't end there. Successful association leadership and effective community management is rooted in communication, but homeowners have different preferences for how they'd like to be reached. Who sets the standards for communication? And how can you be sure your communications are effective? These are important questions all board members and managers should be asking, especially as the generational makeup of community associations begins to shift. Within the next five years, the industry will employ and service five generations. Each of these generations has distinct and specific needs. You should understand the demographics of your current homeowners and those who are looking to buy in your community before determining how to connect with them. According to a 2017 National Association of Realtors report on generational trends, first-time buyers made up 35 percent of home sales in 2017, and 66 percent of the first-time homebuyers were millennials—born between 1981 and 1996. Generation X buyers, born between 1965 and 1980, represent 26 percent of the first-time homebuying market. Generational trends are beginning to impact the homebuying process. While real estate agents are still an important part of the practice, websites like Zillow, Trulia, Realtor.com, and Redfin are dominating the consumers' connection to real estate. These sites are doing even more than allowing potential purchasers to browse. Zillow is beginning to leverage its audience and turn them into buyers. In April, the company announced a pilot program called Instant Offers, offering sellers a matchmaking service with cash investors. This service, as well as sites like Opendoor, is giving future generations the opportunity to have an online buying option. According to PitchBook, venture capital investors also are betting on millennials and Gen Xers turning to online buying for what will possibly be the largest investment of their lifetime. Investors poured $1.2 billion in 2017 in real estate technology companies, up from just $31 million in 2012. Couple these investments with the announcement that startups will start buying homes and flipping them online, it appears that buyers will be able to do more than just window shop sooner rather than later. Association leaders would be naive to believe that the way we do business in communities will not be disrupted too. With communities already home to Gen Xers, baby boomers, and the silent generation, how can board members and managers communicate across five generations, solve the disconnect with homebuyers, and enhance our communities? We need to innovate and connect with our new homeowners in unique ways. As we work to do that, the conversations about generations should be more about their strengths than differences, says Jason Dorsey, president of the Center for Generational Kinetics. “Rather than cover stereotypes that help to further separate generations, it would be better to approach communication as an opportunity to be innovative and lead into the future of this industry," shares Dorsey, during his TED Talk “What do we know about the generation after millennials?" Though each generation has preferred communication styles, there may be opportunities to pair generational resources to help solve problems. Millennials, for example, typically don't initiate in face-to-face communication, but there might be an opportunity within communities for baby boomers to invite younger owners to meet and start a conversation. In-person communication tends to be effective across all generations but also can be time-consuming and inefficient. But associations shouldn't discount the impact of face-to-face meetings. It's important to get to know homeowners and engage them in social interactions—think happy hours and conversations over coffee—before you lay out what can seem like a daunting task of how to live in a community association. While electronic communication is fast and cheap, many baby boomers and millennials have a love-hate relationship with email. If you're trying to engage on a personal level, your email might get lost amid the high volume of emails they receive at work. If you're trying to use email to engage new homeowners, you might see a low return rate. If you're not already sending texts, it may be time to give it a try. Multiple generations cite that they now spend more time texting on their phones than talking on their phones. Some platforms can help associations consolidate messages and expand resources. Telegram and WhatsApp, for example, have business features that can be implemented with owners. Websites, social media, and video also are channels associations could use to connect with new homeowners. Sharing videos can be helpful for those who prefer electronic communication but don't love email. Having trouble with lawn maintenance in a particular community? Create a short video explaining the expectation and post it to the community's website or share it on Facebook. Meanwhile, hard mailings can be helpful to communicate important and more formal communication, but that can be costly. A single approach might not reach your end goal. Sometimes, a combination of all of the above gets the job done. With multiple channels, your messages should support each other. Use links in email, text messaging, and social media to send homeowners to your website. While every homeowner should get the entire rule book before or when they move in, you don't need to send it every time you communicate. Share timely reminders when you know certain issues seem to pop up. Tease specific sections when appropriate. For example, when the holidays come around, maybe you can find some fun facts about lights and decorations, then share the community's rules. Don't be afraid to be creative and experiment with communication. Be willing to innovate and keep looking for new ways to shore up your communication tools and engage homeowners, especially if millennials and Gen Xers are moving in. These new homeowners are critical to the culture of a community and getting them involved early is important. You also should remember that any of your homeowners could become board members. If you get off on the wrong foot with new homeowners, you might find it hard to recover. Every community is different, and the communication channels you choose to connect with new homeowners should be tailored to that community's specific wants and needs. Remember this piece of wisdom from Nat Turner: “Good communication is the bridge between confusion and clarity." ​On a beautiful Central Oregon Sunday evening, over 240 community members made their way up the Pine Marten ski lift to raise funds for local youth. Aperion Management Group hosted the third annual Farm to Fork Dinner and Fundraiser: Sunset at 8,000 Feet on Sunday, September 9th at Mt. Bachelor’s Pine Marten Lodge to benefit local non-profit, Heart of Oregon Corps. The event featured a lift ride to and from the lodge, farm to fork food prepared by a local chef, drinks, youth and employer speeches, music, and of course, an amazing sunset. Local chef Ingrid Rohrer of Broken Top Bottle Shop arranged a menu to delight with items such as Tunisian carrot dip bruschetta, Home Farm Foods pork ragout with polenta cakes, tomato reduction, and crisp pork skin, and truffle and local mushroom mac and cheese. Ingredients were sourced from over ten Central Oregon and Willamette Valley farms, hauled to 8,000 feet and once prepared, were served by Heart of Oregon youth (with supportive training from Mt. Bachelor servers). “I liked learning about being a server, trying the great food, and the Mt. Bachelor staff shared about all the jobs there, and encouraged me to apply!” said Heart of Oregon Corps participant Conrad, from Bend, OR. The Farm to Fork event is also about the community raising money to support youth in Heart of Oregon’s “work-earn-learn” programs. Businesses and individuals alike gave in different ways throughout the evening including table sponsorship, a raffle for an Alaskan getaway and a donation paddle raise. The goal to exceed last year’s amount raised of $30,000 came to fruition and $50,000 was raised! ​The company name Aperion was chosen with intent as it means limitless in Greek and no limits held Katie Anderson hostage while she created a homeowners association (HOA) management company where employees truly care for the well-being of each other and the communities they serve. In addition to founding and currently serving as CEO at Aperion Management Group, Anderson serves on several industry boards and attends community meetings. For the past two years, she has spearheaded the hugely successful Farm to Fork fundraiser to help non-profit, Heart of Oregon Corps, in their efforts to teach and train youth to enter the workforce, thus helping fill the soft skill gap that not only faces her industry but Central Oregon as a whole. To know Anderson is to know her core values are compassion, innovation and education, which flow directly back into her business. Anderson is a pioneer in a niche industry where pioneers, especially women, are few and far between. Anderson’s journey began in her hometown of Bend where she fell in love with everything that makes Bend, Bend, including culture, community and livability. After graduating from Mountain View High School, she married a Bend High grad and they moved to Southern California and then Seattle. While she dabbled in college, she knew it wasn’t the fit for her. During her time away from Bend, she found her passion in HOA management and this passion grew through years as a community manager, managing more than should be possible for one single person. She knew that HOA management companies could be run better and thus, perform better, have happier employees and customers and have unlimited growth potential. She also knew that she wanted to be back in Bend, especially to raise a family (that now includes three kids.). That’s when Aperion Management Group was formed. Exactly ten years ago this year Aperion Management Group was founded with one employee, Katie. In 2008, everything was grand; the economy was good, people were employed and everyone had money. In 2009, as we all know, everything changed with the downturn of the economy. It would have been easy for a new business to go belly up but through Anderson’s immense drive and determination Aperion continued at a steady growth. It was in 2012 when Anderson realized that the company was growing substantially, so she had the foresight to bring in two partners, an accounting extraordinaire, Bill Anderson and a long-time community management veteran, Catherine Smith. Bill and Catherine took over the day-to-day while Anderson remained the visionary. By giving community managers fewer communities to manage thus providing better customer service, focusing on an amazing work/life balance for her employees and a fun company culture, Aperion has grown to over 20 employees. This vision not only held through today but is constantly being improved upon because another standard that Anderson implemented in her company was continuous learning. As if the determination of Anderson’s vision at Aperion wasn’t enough, she also has an extreme drive to affect change in Bend and her industry. She has served on the Board of Directors for the Central Oregon Regional Council (CORC) of Community Associations Institute and served as the CORC President in 2010 and 2011 and currently serves on the Alliance of Community Association Managers (ACAM) Board, a prestigious industry board. Her greatest, and most public, accomplishment came in 2016 when she brought Aperion and Heart of Oregon Corps together for a flagship fundraising event. Farm to Fork: Dinner and Fundraiser was born and is now celebrating its third year, with goals of raising over $40,000. The accomplishments of Anderson and Aperion are immense and aren’t going unnoticed. 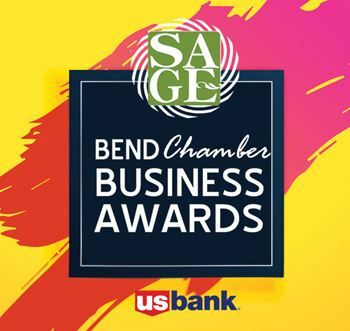 Aperion Management Group was recognized as Bend Chamber’s Small Business of the Year in 2017. ​Bend, OR – April 8, 2018 – Aperion Management Group, Central Oregon's first and only Accredited Association Management Company that specializes in Homeowners Association (HOA) management, has selected two new community managers from a wide range of applicants to join their team. The question, “What would you do if you were given an elephant?” was the first application question and led candidates through a series of innovative recruiting techniques that proved to be wildly successful. Aperion, like many Central Oregon businesses, has been experiencing a narrowing talent pool for open positions while the opportunity to expand is ever growing. It was decided that a training program for potential employees was the way to go and two positions were opened and advertised for one month in February. Applicants poured in and were led through a survey with fun, yet insightful, questions, then an informal meeting with an Aperion employee and finally, a standard interview with the executive team. For the last 6 years Michelle Shockley has worked in the travel industry, dedicating her time to helping others explore the vast corners of the earth in the maritime community. Growing up in Oregon, she inevitably decided to settle down in Bend. Shockley graduated from Portland State University in 2010 with a BA in Business and Communications. She is thrilled for the opportunity to put her skills to use with Aperion Management. Bryan Covey brings to his role at Aperion Management a varied background in hospitality, HOA management and customer service. After earning a bachelor’s degree in Business Management from the University of Oregon, he started his career in the Central Oregon hospitality. Later, he returned to college and earned a second Bachelor’s Degree in Accounting. Having spent the last four years as a marketing associate in the restaurant supply industry, he comes to his current position at Aperion with a strong commitment to customer service and looks forward to working with you. “We are thrilled to begin a training program for new community managers and plan to make this an annual program due to its first year success,” said Katie Anderson, Aperion Founder and CEO. Bend, OR – April 8, 2018 – Aperion Management Group, Central Oregon's first and only Accredited Association Management Company that specializes in Homeowners Association (HOA) management, has selected two new community managers from a wide range of applicants to join their team. The question, “What would you do if you were given an elephant?” was the first application question and led candidates through a series of innovative recruiting techniques that proved to be wildly successful. Community Manager Newsletter - Some great ways a manager can become the smartest person in the room. Community Manager Newsletter - Central Oregon's Aperion Management Group (US!) honored as 2017 Small Business of the Year. BEAUTIFULLY LANDSCAPED STREETS. Happy people strolling down the sidewalk, waving hello at one another and chatting about their days. Pet-waste-free common areas. Immaculately maintained homes. Board members going to their mailboxes without being accosted about the latest community drama. A line of volunteers waiting to help with even the most menial task. Is this picture-perfect community yours? If it’s not, your board members and community managers have work to do. Happy communities build value. Communities that attract drama can do just the opposite. If you want to turn your community’s frown upside-down, start with the following 10 steps. 1) DEVELOP A STRATEGIC PLAN. You have to start by knowing where you’re going. Instead, the conversation should be focused on questions like, “What goals do we have as a community? Are we happy with the landscaping and amenities we have now? Do we want to add things down the road? How strict will we be with compliance?” Determining these kinds of things leads to shared community goals. The strategic planning session should be held outside of a regular board meeting. The board should discuss its vision and set tactical goals. This plan will help your manager and committee members prioritize tasks. If an issue comes up, such as an owner’s request to rewrite design guidelines, and the manager knows the board reviews all policies every two years, he or she can share this timeline with the owner without bogging down the board’s next meeting agenda. Culture is a direct reflection of what board members and owners are doing to improve the community, and a positive culture can enhance the community’s value. The board should set the tone. If board members want a community that works hard and has fun together, then their actions need to reinforce those ideals. 3) CREATE A FINANCIAL PLAN. Both annual and long-range financial planning needs to be a focus. With proper planning, it will help avoid surprises for owners and build trust in the board’s leadership. The fastest way to create an unhappy community is to hit an owner’s wallet with additional unknown expenses. Each of these items should be reviewed, at a minimum, annually. If the board doesn’t understand the community’s complete financial position, it will be difficult to make effective decisions. 4) FOSTER A GOOD RELATIONSHIP BETWEEN THE MANAGER AND BOARD. The board-manager relationship is complicated. It requires openness, honesty, and dedication. Communication forms the backbone of the relationship. The board and manager should be communicating regularly, positively, and constructively. Both parties should make sure expectations are well-defined. How often are updates required? How quickly is a response expected? Board members should make clear decisions. Include timelines for action completion and specific authority on the issue. Managers don’t make decisions; they take their marching orders from the board. Be open to constructive feedback. Each person working or volunteering for the association should respect each other. Any feedback should be given with that in mind. Be professional. Any toxic or aggressive communication should be stopped immediately and avoided in the future. 5) PROVIDE OPEN AND HONEST COMMUNICATION WITH OWNERS. Communication with the residents, no matter what form it takes, is crucial. Every manager has managed a community where an owner stands up at the annual meeting and says he or she wants better communication. What does that mean? Frequency? Type? Sometimes, the biggest challenge is getting to the bottom of what defines communication for your community. A manager could be sending regular updates, but if the communication isn’t the right information, and isn’t in a format that meets the community’s needs, it will still be perceived to have fallen short. Is your communication being heard as you intended and conveying the message you want? Do your owners know what’s going on in the community? Do you have buy-in? Understand your demographics. Every manager would love to live in a paperless world, and for the most part, our industry has evolved to provide the technology to do so. But is this the right choice for your community? This is something that every manager and board should analyze from time to time. If you’re sending emails, can you see how many people open them? Do your owners read the information, or is your office receiving calls about information already distributed? You may need to diversify how you share information. Share your successes. Take advantage of the marketing opportunity to toot your board’s horn. When reserve projects come in on time and under budget, for example, let your owners know. Be relevant. If you’re sending garage sale notices and lost puppy posts but fail to communicate information like road closures or upcoming meetings, the ownership will not rely on your communication. Be honest. Just like sharing your successes, board members and managers shouldn’t be afraid to share challenges or mistakes. Owning the situation can be the most respectable way to approach a challenge. Owners who understand how an association works will have a greater understanding and perspective of their responsibility toward the greater good. • Sharing the top five most common compliance issues in your welcome letter to new owners. Educate them on how these can be avoided. • Writing regular newsletter articles about association processes. You might consider writing about how decisions get made, why the community needs committees, the role of management and the board, and the lifecycle of a compliance issue. • Holding an annual board training and inviting the community to observe. This will give your owners a better perspective of what the board does. Whether it’s a management firm, landscape company, or general contractor, hiring an experienced, properly licensed, and knowledgeable vendor helps provide comfort to owners that their money is being well spent. Quality work can reinforce the board’s vision and improve the overall value of the community. Make sure your community has a process in place for how project scopes are developed, how projects are sent to bid, and how the bids are reviewed. Additionally, make sure the board sets a process for how often contracts will be sent out for bid. Annually changing contractors can create inconsistency and not allow the community to reach its best operating goals. Changing contractors based on price isn’t always the best approach and can fail to meet owner expectations, so when analyzing contractors, make sure their ability to complete the job within the set scope is part of the process. 9) SOLVE PROBLEMS NEIGHBOR TO NEIGHBOR. Encourage neighbors to communicate and solve problems amongst themselves before reporting to boards, committees, or management. Many issues don’t require official association intervention, and better relations between community members is fostered by open communication, as opposed to behind-the-back finger-pointing. The board isn’t responsible for solving every problem. When neighbors shut their doors and avoid conversations with each other, the board and management can be forced to resolve issues over which the association has no jurisdiction. For example, if an owner’s dog is going to the bathroom on a neighbor’s lawn, unless the area is common property, this is a conversation that should take place between neighbors. If your community is seeing a rise in neighbor-to-neighbor complaints and a resistance to working them out, try bringing a local mediator in to your next annual meeting to share tips on conflict resolution. Find resources that can help facilitate these conversations and improve neighbor dynamics. 10) FORM A SOCIAL COMMITTEE. Owners who work together need to play together. Social gatherings will help neighbors get to know one another and open lines of communication. Communities should offer a diverse range of events to accommodate a wide range of interests. The events can be simple, like a book club gathering, or as large as a themed party. As with all committees, the board should set the social committee’s charter and provide guidance on its responsibilities. Above all, the committee should keep matters light and fun. We know from the Foundation for Community Association Research’s 2016 Homeowner Satisfaction Survey that homeowners believe their board members and managers are doing a stellar job. • 87 percent of residents rate their overall community association experience as positive (65 percent) or neutral (22 percent). • 84 percent say members of their elected governing board “absolutely” or “for the most part” serve the best interests of their communities. • 69 percent say their community managers provide value and support to residents and their associations. • 88 percent say their association’s rules protect and enhance property values (66 percent) or have a neutral effect (22 percent). • 67 percent of residents say they pay about the right amount—some even say too little—in association assessments versus paying too much. That means most communities already have many of the pieces in place to be happy. With a little bit of work and a little bit of fun, your board and manager can take the next steps by improving your community’s overall culture and bettering operations and governance. That happy place is within reach. ​END, Ore. - Each morning, local youth load up work tools into a fleet of passenger vans, trucks, and trailers and travel to work sites up to 50 miles away in Central Oregon. Young people work on Heart of Oregon Corps projects ranging from building affordable homes for low-income families, to maintaining beloved recreational trails, to forest thinning projects that protect surrounding areas from wildfire. As they gain skills, they also gain confidence in themselves and motivation to pursue their goals. With the support of the community, Heart of Oregon Corps has reached a capital campaign milestone to raise over a half million dollars for a new fleet of vehicles! The new fleet will help Heart of Oregon Corps sustain programs, which helps to improve economic and social vitality in Central Oregon, while increasing pathways out of poverty for young adults. Corporate partnerships played an integral role in this campaign, especially Aperion Management Group, Robberson Ford, Mt. Bachelor, and Deschutes Brewery. The 100+ Women Who Care Central Oregon group helped purchase the industrial wood chipper in the spring of 2016. Private foundations including the MCM Fund, MJ Murdock Charitable Trust, The Ford Family Foundation, The Collins Foundation, The Eddie Williamson Foundation, and several donor advised funds at the Oregon Community Foundation also greatly contributed to the campaign’s success. HOC’s Board of Directors, individual community members, and local business owners also showed their strong support of HOC's mission by providing donations and addition in-kind assistance. “Transforming tomorrow’s workforce today” is the tagline at Heart of Oregon Corps, the local non-profit that employs over 325 of young adults each year. Heart of Oregon Corps’ mission is to inspire and empower positive change in the lives of young people through jobs, education, and stewardship. Heart of Oregon Corps continues to empower long-term positive change during the most critical times of a young person’s life. Take it from Erik Monia, of Bend, a 21-year-old alumni of Heart of Oregon Corps. Erik gained vocational experience that was integral in his transition to his new job with Bend Park and Recreation District. “The training provided me with great skills that I use every day in my new job,” said Erik. “I gained a strong work ethic and the experience changed my life completely.” For 17 years, Heart to Oregon Corps has provided alternative options for youth through job skills training, education, and service to the community. The Campaign Appreciation Party is on Wednesday at Deschutes Brewery Lower Warehouse across for the Les Schwab Amphitheater. The 5:00 PM to 6:30 PM event has a short formal program at 5:30 PM. ​Katie Anderson, Aperion Management Founding Owner, offers her expertise with readers of www.HOAleader.com, a resource for HOA and condo board members nationwide in their online articles and forum. Click the title above to read the five articles.